A good complete African spear. 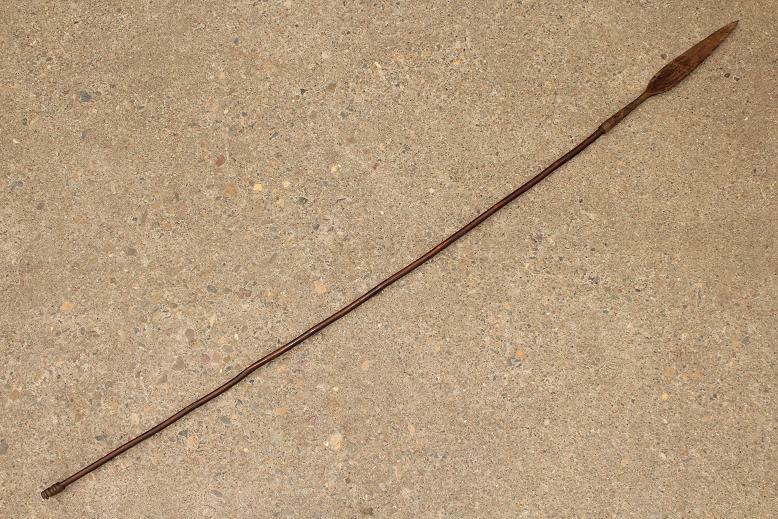 This spear is just under 138cms long. 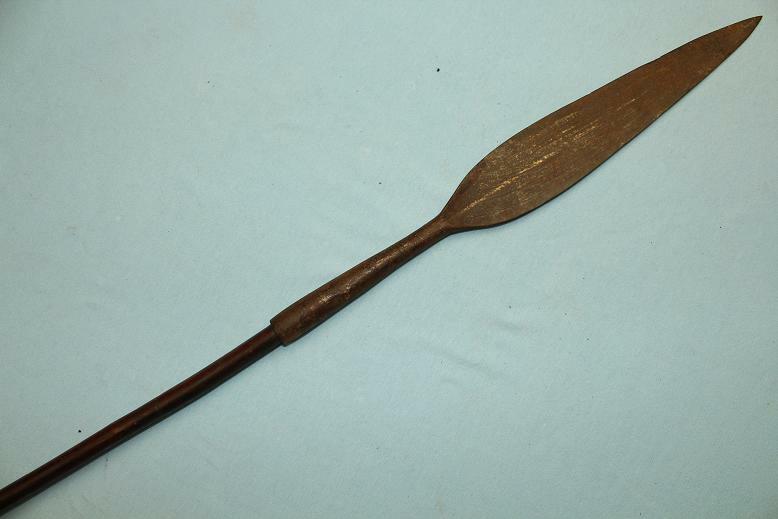 the socket spear head is 33cms long with a leaf shaped blade 22cms long. 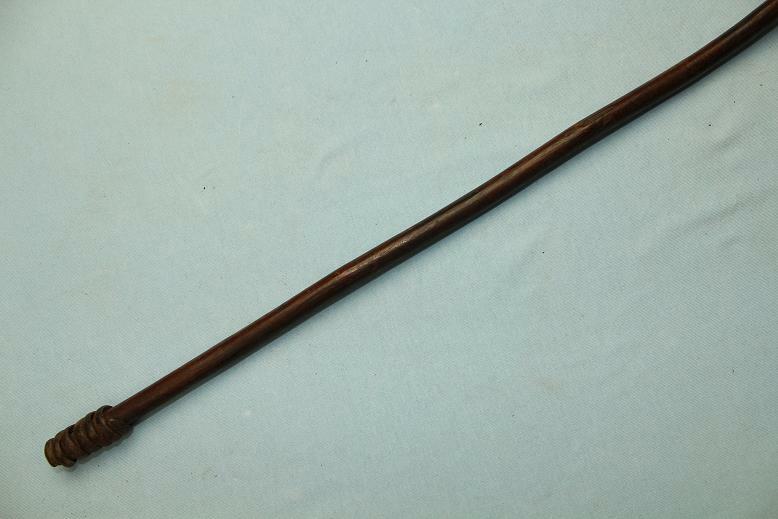 The spear head is very well forged. There is a fine medial ridge running through the blade with hollow forged fullers and fine beveled cutting edges. The base has attached to it, a twisted steel counter balance that is approx 3cms long. The timber shaft is a fine dark bramble like wood that remains in very good condition, considering its age and diameter. 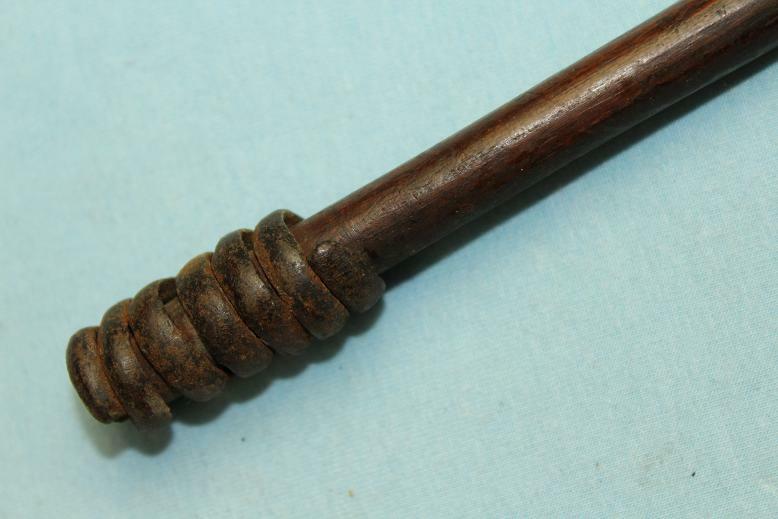 A good complete and unusual quality spear.